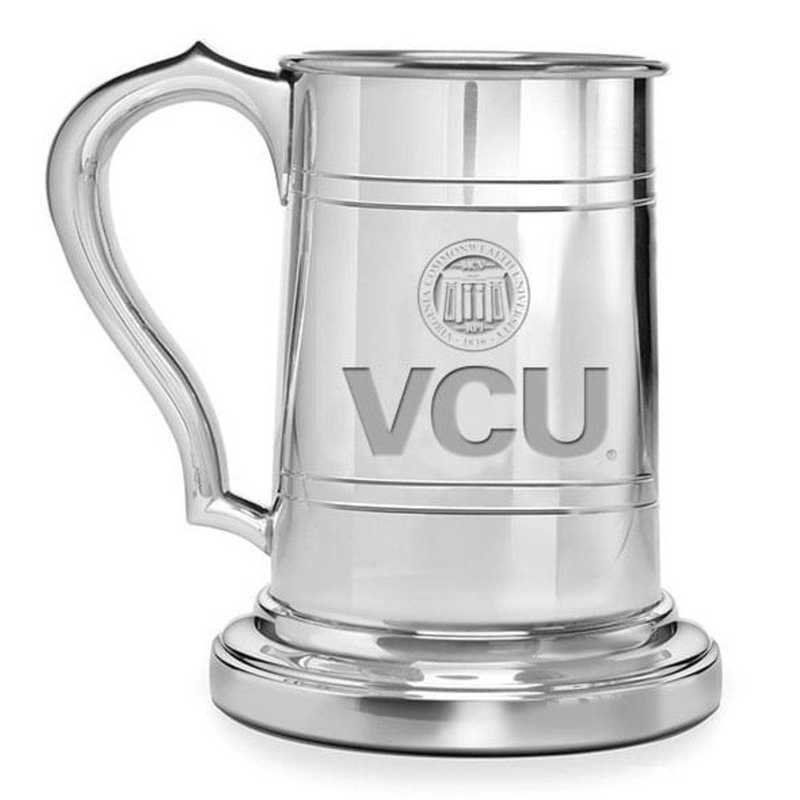 VCU Pewter Stein by M.LaHart & Co.
Gear up your school spirit with the gift of awesome NCAA and college products. Virginia Commonwealth University pewter stein, handsomely engraved with "VCU" and VCU shield, generously accommodates your custom-engraved personal message., 16-ounce capacity., Crafted from solid pewter with high-polish finish., Presented in our attractive gift box., Combine with our pewter frame or other desk accessory for a unique gift set., Officially licensed by Virginia Commonwealth University. Manufactured direct from a trusted supplier. You're reviewing:VCU Pewter Stein by M.LaHart & Co.